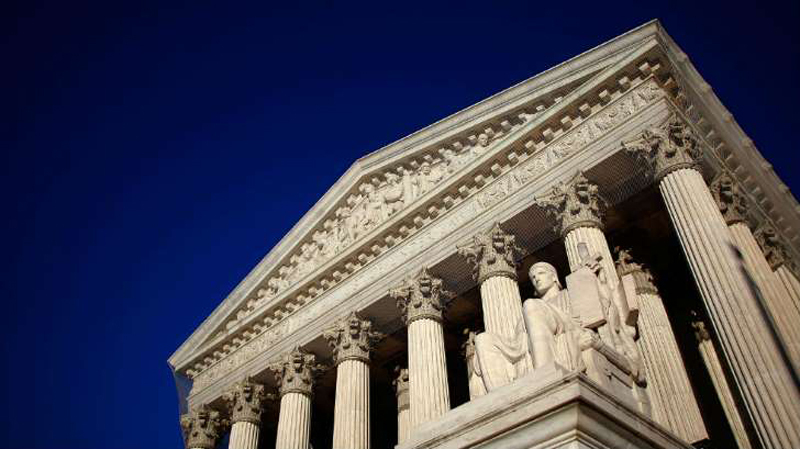 The Supreme Court on Monday said it would not review the case of a Missouri man who was sentenced to 241 years in prison for a robbery at the age of 16. Bobby Bostic had asked the court to hear his case, arguing his sentence violated the Eighth Amendment's protection against cruel and unusual punishment under the court's 2010 ruling in Graham v. Florida. In that case, the court held that the Constitution prohibits the imposition of a life without parole sentence on a juvenile offender who did not commit homicide. Bostic was convicted of eight counts of armed criminal action, three counts of robbery, three counts of attempted robbery, two counts of assault, one count of kidnapping, and one count of possession of marijuana at the age of 16 for robbing a group of six people who were delivering Christmas gifts to a needy family in St. Louis in 1995. During the robbery, which Bostic committed with an 18-year-old man, two people were shot. The assailants then kidnapped and robbed a seventh woman and used the money to buy marijuana after they let her go. Bostic will not be eligible for parole until he is 112 years old. In court briefs, Missouri Attorney General Joshua Hawley (R) argued the court lacked jurisdiction to review state decisions that he said rest on adequate and independent state law grounds and that the Missouri Supreme Court was correct to rule the Eighth Amendment does not prohibit aggregate sentences for juvenile offenders. "This juvenile committed heinous crimes on the cusp of adulthood, but, unlike the sentences that this Court held unconstitutional ... he did not receive a sentence of life in prison without the possibility of parole for any individual crime," he said in court briefs. "Instead, he received multiple sentences, corresponding to the number and severity of his crimes, with an opportunity for parole in extreme old age." The justices did not provide an explanation for their decision not to hear Bostic's case.